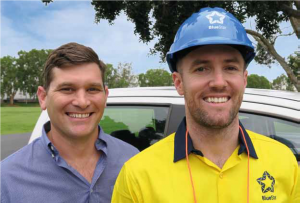 At Blue Star, our most important asset is our people and their safety and well being. Our people are our future. 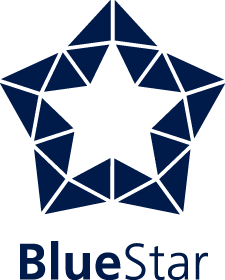 By utilising a highly experienced and hands on safety, operations and rehabilitation management team, Blue Star has achieved and maintained an exceptional safety record and is committed to ensuring that its safety culture is led from the top and embraced throughout all levels of the business. At Blue Star, we have built a culture where our team can work together to achieve our primary safety objective of eliminating incidents in the workplace. With constant consultation and communication with our people and by recording honest and accurate safety reporting statistics, we are able to monitor and evaluate the effectiveness of our procedures on a practical, day-to-day basis, whilst constantly improving and adopting new ways of achieving our objective. We believe that health and well being is a holistic concept and does not merely extend to the workplace, and we have successfully implemented a company funded employee assistance program (EAP) to provide 24/7 counselling with a psychologist 365 days a year, financial advice services, access to dietician services, a manager support hotline and critical incident support to our people and their immediate families. We believe that by providing support to our people through guidance and mentoring, training and specialised skills development empowers confidence and growth within our team. 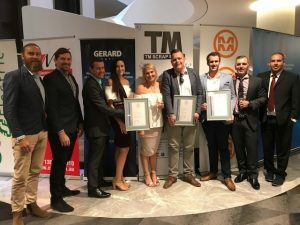 With over 120 experienced team members and a core group of loyal, valued people who have grown with the company for many years, Blue Star has cemented its position in the electrical contracting industry now and well into the future. Our mission is to deliver quality service efficiently and effectively in a safe and environmentally sound manner. 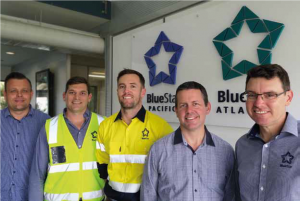 Blue Star’s safety, quality, environmental and risk management systems are externally audited regularly and are certified to comply with the requirements of AS/NZS ISO 9001, AS/NZS 4801, AS/NZS ISO 14001 and ISO 31000.